Just as the Xbox One has finally hit the home stretch, some developers have struck out at the platform and said it shows a serious lack of power when compared to its next-gen rival.
. Its Arithmetic Logic Unit is also said to be about 50% speedier. The report then goes on to give an example of a platform-agnostic development build can run at 30fps in 1920 x 1080 on PS4 but at "20-something" fps in 1600 x 900 on Xbox One. 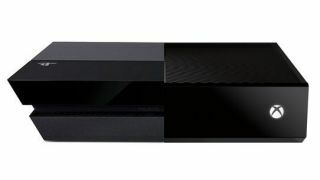 "Xbox One is weaker and it's a pain to use its ESRAM," added one developer. One thing that will no doubt get gamers fuming is the claim from one source that PS4 versions of some games might be limited in their performance so as so match the Xbox One and "avoid ruffling any feathers" over at Microsoft. It's worth mentioning that, as one source also said, the Xbox One hardware still isn't locked and the graphics drivers of both consoles will continue to be tweaked beyond launch itself. Microsoft has recently boosted the console's clock speed too, though one developer said that this move "does not change things that much." A Microsoft spokesperson told Kotaku that "Xbox One architecture is much more complex than what any single figure can convey. It was designed with balanced performance in mind, and we think the games we continue to show running on near-final hardware demonstrate that performance." We've contacted Microsoft for comment specifically on the architecture variations and will update when we hear back.